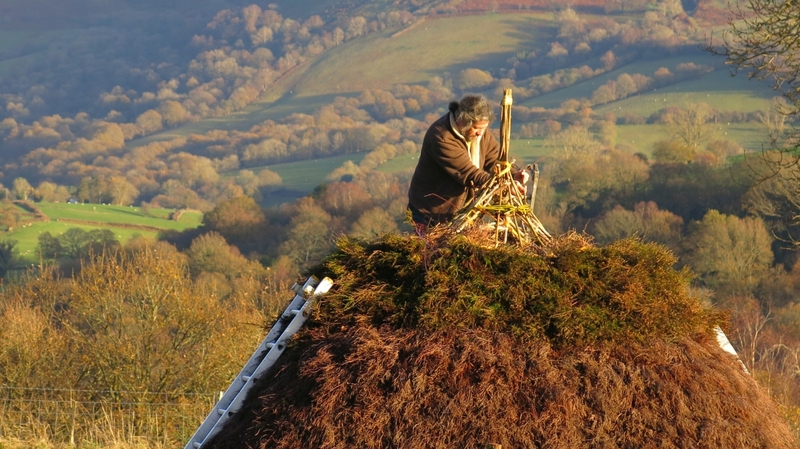 The Wilderness Trust's project, Out of Eden, investigates the origins of farming and Neolithic culture in the UK through practical experimentation. This is in its early stages, carried out entirely with volunteer labour on a 50 acre site in mid-Wales. 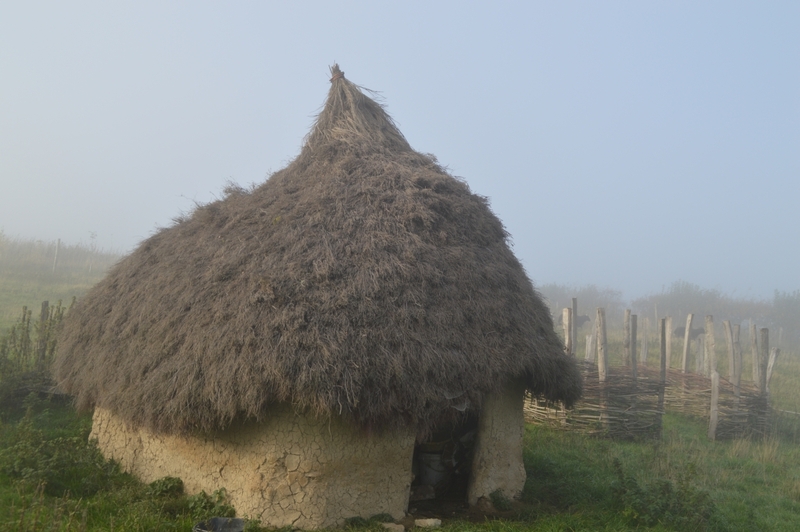 We are in the early stages of setting up this project, but when complete will include reconstructions of Neolithic houses and ritual sites from the archaeological record using on-site materials (wherever possible). The settlement is situated on a beautiful site on the edge of the Cambrian Mountains. It’s not Salisbury Plain – the evidence that our ancestors trod this hill in the Neolithic is not tangible – but they have left their footprints all around us. There are standing stones in the Sychnant valley not far away – or high up above the Elan valley to the south west. There is the great Walton Basin ritual site to the south, and beyond that the long barrows of Dorstone Hill in Herefordshire. Ritual sites near Welshpool to the East include a woodhenge. And far away to the north lie the Neolithic longhouses and the tombs of Angelsey. The footprint of our buildings are based on the evidence from very sparse excavations from the Neolithic across the country. The rest is left to our imaginations. What are the raw materials that we have around us? What would the vegetation have been like 5,000 years ago – and the climate? How could we put this together with stone tools? What tools do we have from this period. We started in the woods, planting trees, creating coppice, managing our oaks to guarantee a perpetual source of materials for the site in years to come. We then harvested and prepared materials for building the first small houses. Meanwhile we have been working with some ancient breeds of sheep to look at their behaviour in comparison to modern breeds and the processes of domestication. There will be a lot of stone age fencing to build from coppiced wood. And we have been experimenting with trial crops of emmer wheat and flax in preparation for planting on the site. This year we will be building the first gardens around the houses, with culinary and medicinal plants that our ancestors would have known. •	Tanning and the production of leather using Prehistoric techniques and making clothing. •	Production of Neolithic style pottery and firing on a bonfire kiln. •	Making of flint and bone implements. •	Running courses where people can have hands-on experience of Prehistoric life. •	Cultivation of Neolithic crops and plants. 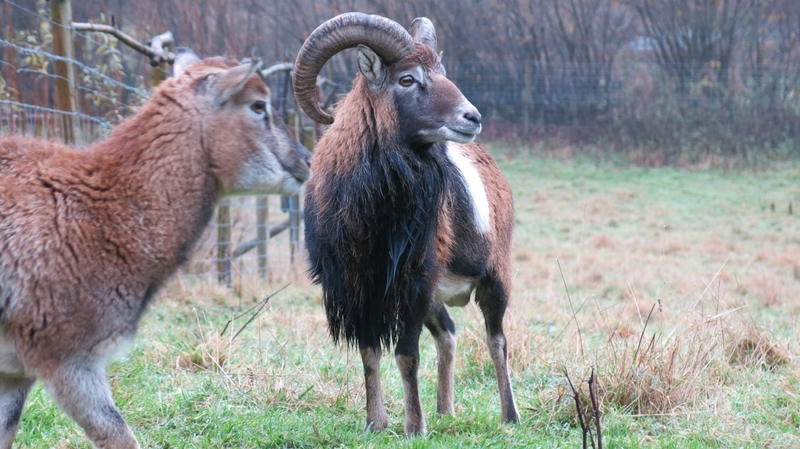 •	Investigation of the domestication of livestock by working with Mouflon and Soay sheep. •	Establishing coppice and managing woodlands. Kevin has been a professional field archaeologist since 1976, working on a wide range of both urban and rural excavations of all periods. He has directed Cambrian Archaeological Projects since 1994. He is a cathedrals archaeology consultant with a long-standing interest in the reconstruction of buildings. He has run courses in stone carving, basket making and coracle making. Frances trained as a Zoologist and has managed a farming project in mid-Wales since 1988. She has a wide experience of working with livestock and has the only flock of Mouflon sheep in Wales.